As we all know, the winter months in Loveland, Colorado can be quite unforgiving. That is why the Loveland siding replacement experts at Scottish Home Improvements want to be your local partner for exterior remodels, helping you to protect your home or business against the chilling temperatures and biting winds. With our help, you can find the right siding for your individual needs as a business owner or homeowner, allowing you to reap the benefits of lower maintenance costs and energy bills for years to come–all while still enjoying a fantastic looking home or commercial space. Find out more information below on the various kinds of siding products and siding services that our Loveland siding replacement experts have available for your property. In recent years, many homeowners have been turning to fiber cement James Hardie® siding for their Loveland homes. 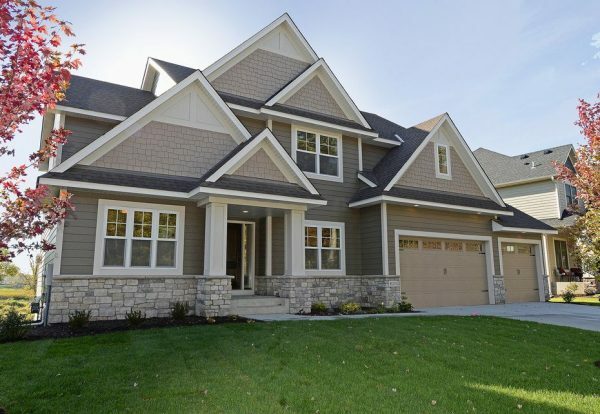 James Hardie fiber cement siding is one of the most durable and attractive materials on the current market. This type of siding will stand up to the elements, rarely needs maintenance, and resists splitting in freezing temperatures or warping due to the moisture (or lack of) in the summer months. With Scottish Home Improvements, fiber cement siding is always installed in combination with HardieWrap® weather barrier and rigid foam siding. When installed in this combination, James Hardie siding provides Loveland homes with better insulation, which will result in reduced energy bills in the winter. When you use fiber cement James Hardie® for your Loveland property, you will not need to concern yourself with the exterior appearance of your home as it will not change, be easily damaged, or fade rapidly. And, best of all, it’s backed by an excellent warranty, so you gain peace of mind from your investment. Fiber cement siding can be designed to compliment or reflect the current exterior of your home. Scottish Home Improvements also offers accent features such as natural stone. The combination of different textures and finishes creates an elegant and interesting depth for your home’s exterior. With thousands of combinations available, our experts can show you exactly how James Hardie siding finishes your Loveland home’s exterior, projecting what your siding choice will look like with our CAD programs and giving you peace of mind with your purchase. 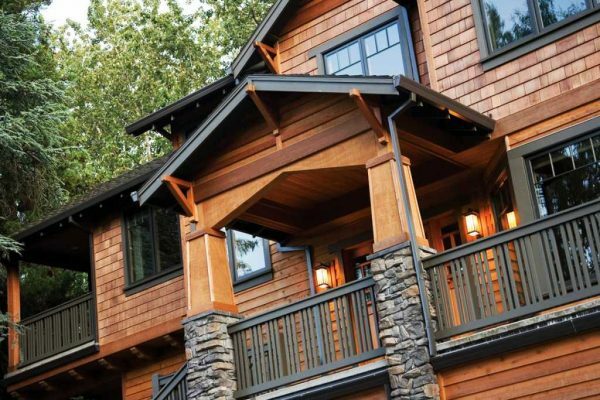 Other products we offer locally in Loveland include Pella® windows, vinyl windows, decks, gutters, and roofs. While Scottish Home Improvements highly recommends fiber cement siding, we also provide a full range of siding options for Loveland residents to install on their commercial or residential space. We’ve gone into detail about a few of the many siding options we offer below. Beyond our fiber cement siding, Scottish Home Improvements also provides stucco-style siding options for Loveland-area homes. Stucco-style siding options protect Loveland homes and improve their appearance without suffering from the common problems that traditional stucco faces, such as chipping or cracking. This means that Loveland homeowners can enjoy the look and feel of stucco in the form of a siding that requires much less maintenance. If you’re looking for a durable siding option, you should consider steel siding from Scottish Home Improvements. Steel siding is affordable and weather resistant, making it one of the best siding options for Loveland homes and businesses where cost and maintenance are the main concerns. Many homeowners enjoy the look of vinyl siding due to its modern, clean appearance. Vinyl siding is characterized by deep grooves and faux wood grain appearance and has a fresh, clean look. It’s also highly versatile and easy to maintain. Wood siding is an excellent choice for homes in the Loveland area. Wood siding looks stunning against the mountain backdrop of the Front Range and blends in perfectly with Loveland’s scenic environment. At Scottish, we offer both authentic cedar grain siding as well as LP SmartSide engineered wood siding. For a particularly stylish look, you may want to consider adding stone siding or accents to your Loveland, Colorado home. Stone siding is colorful and durable and also provides exceptional insulation during the cold winter months. It can be used to compliment wood siding, vinyl, stucco, or any other existing siding material on your home. At Scottish Home Improvements, we acknowledge that not every property owner wants to completely replace their home or business’ siding, whether due to their current siding fulfilling their aesthetic preferences or their budget not being able to accommodate a full siding replacement. In these circumstances, Scottish Home Improvements is happy to provide our siding repair services for Loveland residents. Our comprehensive selection of siding materials and colors can be crafted to create a seamless match to your current siding, resulting in a cohesive exterior look with renewed protective qualities. Scottish Home Improvements offers design consultations at no expense to all Loveland residents. We are available during normal business hours, as well as on weekends and evenings. Our superb craftsmanship and knowledgeable staff have helped us become the largest installer of fiber cement siding in Colorado. Please do not forget to check out for yourselves our A+ rating at the BBB. We promise you the best customer service and the highest value for money. If you have any questions about our products or installation process, or if you would like to set up a consultation, feel free to give us a call or send an email. Our team is always willing to help, and you can also set up an appointment to come to our showroom in Centennial nearby to learn more about the many options we offer. We can’t wait to start working on your exterior remodel today!